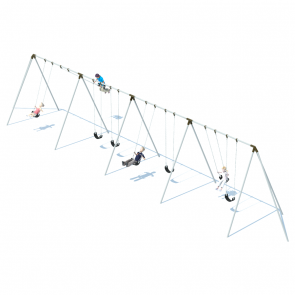 The Tri-Pod Swing Set adds a modern twist to the Bi-Pod style, with three legs on each side instead of two. 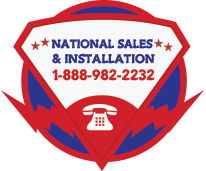 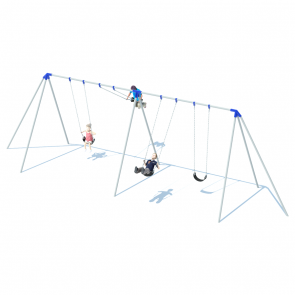 The legs and top bar are built from 2 3/8” outer diameter galvanized steel tubing. 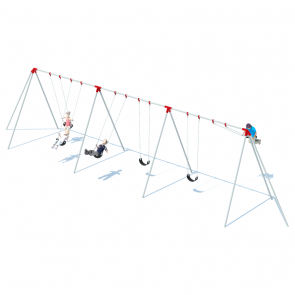 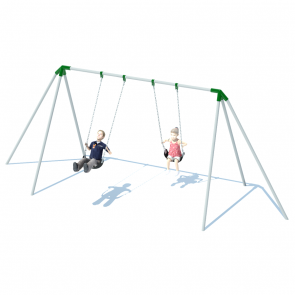 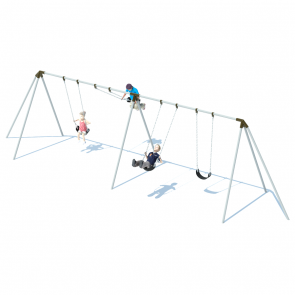 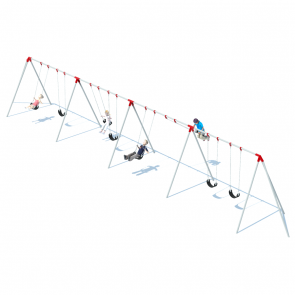 This swing set style is available in 8’ or 10’ heights, with the number of bays available ranging from one to four. 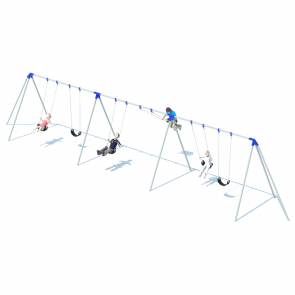 Each bay contains 2 swings. 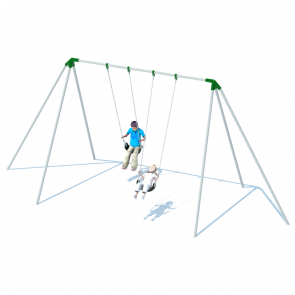 Multiple color options are available for the powder-coated aluminum casting for customization, too.